All kids want to go on the rollercoaster rides they are far too little for, dreaming of the day they will be big enough. And of course it’s tempting for doting dads to give them a little boost. 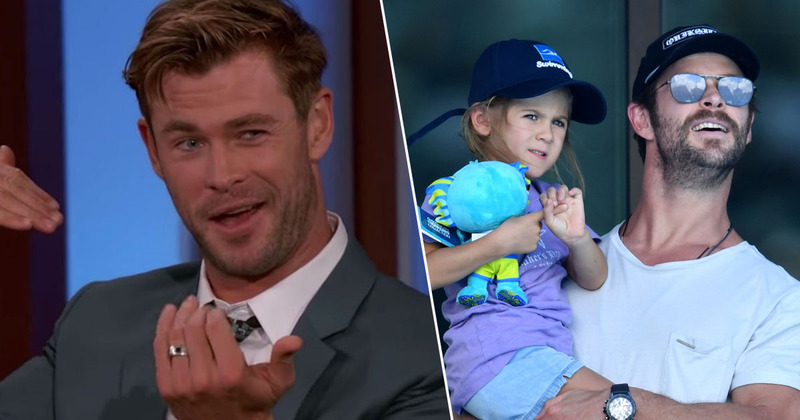 Appearing on Jimmy Kimmel Live with some of his fellow Avengers, Chris Hemsworth recalled a time a couple of years back where he snuck Snickers bars in his daughter’s shoes to make sure she was big enough to ride the rollercoaster formerly known as the Tower of Terror. Paul Rudd (Scott Lang/Ant Man), Chris revealed his dubious attempts to be a Superdad. And I was like nah, forget this. Come here. All seemed well until they reached the top of the 200ft ride. As they began to plummet, it was clear the seat was way too big for her. So, we’re sitting in the chair… We’re at the top and I’m looking at her and she’s strapped in and the seat is massive on her. [I] grab onto her, she’s like screaming the whole way down. I was like maybe there’s a reason there’s a height sign. Luckily, India Rose was ‘fine’ and her dad is able to joke about this scary incident. However, this could have so easily gone another way entirely. Seriously, height restrictions are there for a reason guys….